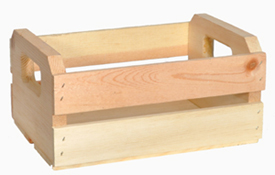 A small wood orange crate is great for your counter-top displays! 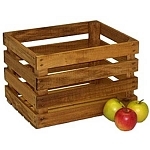 Make a perfect impulse display with this small wooden crate. 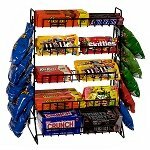 Place near the registers or on counter-tops in bakeries, cafeterias, etc for condiments and more. Display crates shouldn't be underestimated due to size, there is a lot of places this cute box can go so they make better use of those little wasted areas. Order yours today.